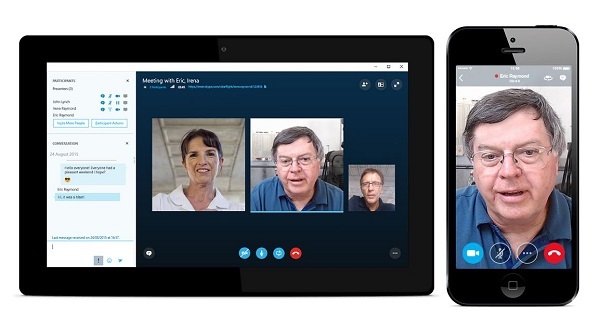 Microsoft releases free HD video conferencing tool Skype Meetings for small businesses. Microsoft today introduce free Skype Meetings-a new online meetings tool that provides small businesses with real-time audio and HD video conferencing. Skype Meetings includes collaboration features like the ability to share screens and content during meetings. Anyone in the U.S. with a business email address and whose organization doesn't already have Office 365 can sign up for free Skype Meetings at www.skype.com/meetings. Once you sign up, you can set up meetings for up to 10 people for the first 60 days and up to 3 people thereafter. All you need is a device with an Internet browser, a microphone, speaker and camera, which are included on many devices. If you have an Office 365 business subscription that includes Skype for Business, then you already have richer online meetings capabilities, such as the ability to conduct large group meetings for up to 250 people and the ability to IM anyone in your organization at any time-not just during meetings. In addition, Skype for Business is integrated with other Office 365 apps to enable you to do things like schedule a Skype meeting from your Outlook calendar, see your colleagues' presence, and initiate an IM or start an audio or video conversation within apps like Outlook, Word and PowerPoint.